WASHINGTON — The Trump administration is slow-walking enforcement of a major Obama-era regulation to strengthen protections for construction workers against a type of dust that has been linked to cancer and lung disease. Enforcement of the new rules for silica dust — which workers are often exposed to while cutting, drilling and grinding materials like concrete, granite and mortar — was originally scheduled to begin on June 23, but the Trump administration issued a three-month delay. Last Wednesday, three days before the Sept. 23 deadline, the Labor Department granted another reprieve, announcing that it would hold off fully enforcing the rules for 30 more days. During the month-long grace period, which extends until late October, the Occupational Health and Safety Administration (OSHA) will "carefully evaluate good faith efforts" by employers trying to comply with the new requirements and assist them in doing so, according to a Labor Department memo. OSHA will only consider issuing citations for employers who don't appear to be making an effort to comply, and the head office must sign off on any proposed citations, the memo added. The Labor Department said it decided to phase in enforcement because it recognized "the construction industry is facing the most immediate and dramatic reduction in the exposure limit," according to a department spokeswoman, Amy Louviere, adding that OSHA has issued compliance guides for employers. For the construction industry, the new rule lowers the permissible exposure limit from 250 to 50 micrograms per cubic meter of air, averaged over an eight-hour shift. Other industries currently have an exposure limit of 100 micrograms, which the rule lowers to 50 micrograms. Workers' health advocates argue that the delays in fully enforcing the silica rule are simply prolonging the time that laborers are in harm’s way. "Delaying its full enforcement places over 2.3 million workers at greater risk to exposure, especially the construction industry — the backbone of our economy," said Mark Ames of the American Industrial Hygiene Association, which represents scientists and engineers who protect worker safety. OSHA itself has estimated that the new standard would prevent 642 deaths and 918 cases of silica-related illnesses every year. Classified as a known carcinogen, silica dust can impair breathing and cause lung scarring when inhaled, and has also been linked to kidney disease. While silica-related deaths have declined drastically over the past few decades, new industries like fracking have opened up other opportunities for exposure. "It’s dangerous, and it’s harmful for workers — OSHA keeps extending the time workers are exposed to this deadly dust," says Jordan Barab, who helped developed the rule as deputy assistant secretary at OSHA under Obama. "It’s tragic to see these workers who are sick. It’s even more tragic to know that it could have been prevented." Barab said that it's extremely difficult for OSHA inspectors to prove that an employer is acting "in bad faith," effectively taking the teeth out of its enforcement phase-in. The enforcement delays have been a major priority for industry groups that claim the new rules are overly burdensome, and that employers need more time to prepare. 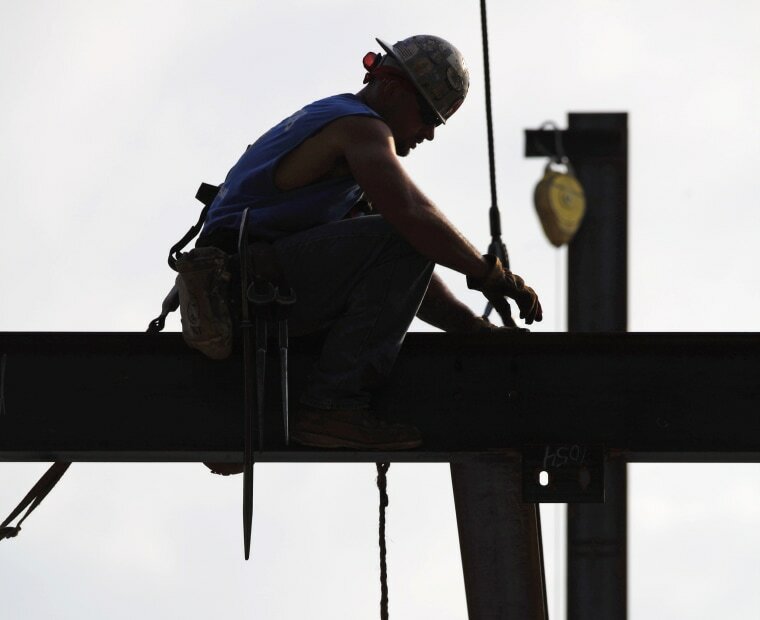 Associated General Contractors of America, a leading trade group for the construction industry, has asked OSHA to delay enforcement and institute the 30-day grace period "every time we’ve met with them," according to the group's spokesman, Brian Turmail. "It gives everyone an opportunity to say, 'We think this is how we’re supposed to comply,' then gives them a chance to fix it. I don’t think anyone benefits from a gotcha moment — this isn’t cops and robbers," said Turmail, adding that AGC is pushing for a longer "educational enforcement period." The new silica rule is not only stricter than the old standard, but also offers a new way of complying: Employers who follow specific guidelines for construction tasks won’t be required to monitor workers' silica exposure. OSHA is scheduled to enforce the new rule in the construction industry first, then in general industry, maritime and fracking beginning in 2018. The Trump administration has used delays to slow down many other Obama-era regulations; in May, it suspended a new rule requiring that employers report workplace injuries and illnesses electronically, so they're in public view. But it's hardly the first administration to take its time in regulating silica. Silica dust exposure has been linked to silicosis — a chronic, incurable lung disease — for centuries, and the issue rose to national prominence in the 1930s. But it wasn’t until 1971 that the federal government implemented its first workplace exposure limit. In 1997, OSHA announced it would move forward with stronger protections, but it would take nearly two decades for the process to be completed: The Obama administration only finalized the new silica standard in 2016 — the first change to the exposure limit in 45 years. Industry groups don’t just want to slow down enforcement of the new silica rule; they want to stop it altogether. Associated General Contractors is among the many industry groups that are currently suing OSHA over the new rule for being unnecessary, technologically infeasible and economically ruinous, calling it "potentially the most expensive OSHA regulation ever for the industry." On Tuesday, the D.C. Circuit Court of Appeals heard oral arguments from the business groups opposing the rule, along with labor unions who believe it doesn’t go far enough to protect workers. Despite the legal challenges and pushback from industry, many construction firms have long been preparing for the rule to take effect, buying the necessary filters, vacuums and other equipment to reduce silica dust. Associated General Contractors says it’s trying to help its members understand and abide by the new rule, telling them not to expect a court victory. "We’ve long warned them that it’s a real low probability," Turmail said. "It’s an uphill battle and do not count on that winning."